You may have come across some of the brilliant articles that we often share on our Facebook page about ways of maximising space within your home, but just incase you haven’t here are our very own top 5 space saving tips. 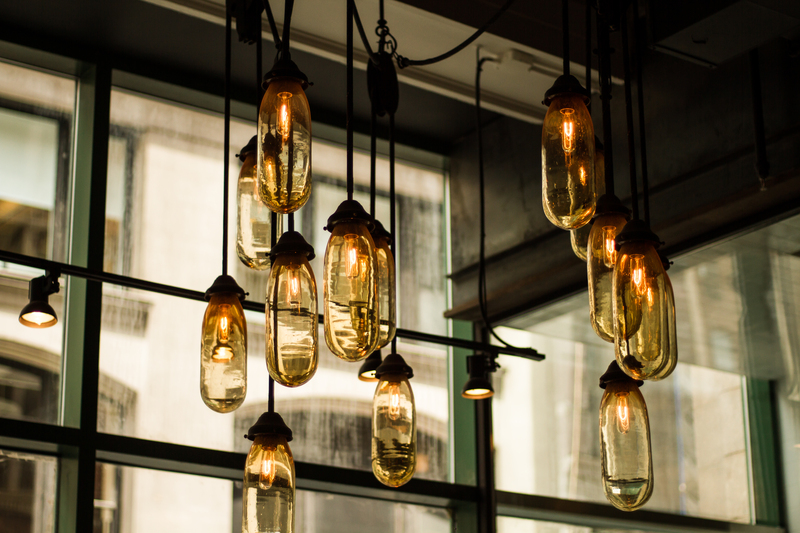 You may think that this seems ridiculous as there is no dual purpose or function to light, but the more light you have, the more space you will appear to have within your home. This doesn’t just have to be introduced in the format of white painted walls and lightly coloured furniture, but also by adding in big light pieces. They won’t take up as much space as you think. If they are a large impressive feature, your room will feel bigger as you will visually notice it can accommodate such a large item and therefore must be larger than you thought. Tribeca chandeliers from Menu are great if you have an Industrial-Contemporary home. Of course shelving is just an absolute must for saving space for an uncluttered room, but think about adding it in the most unique places. If you have a staircase that twists and turns, add some shelving into the bottom section that wouldn’t be usable as an under the stairs cupboard to give you some extra space for books. Or quite simply use bookcases as your walls. By knocking down your walls to create a huge open plan area, you will be able to use parts of a room that you never knew existed. However it can sometimes feel stark to have such a big room. By using bookcases you will elegantly divide the space into smaller sections but without blocking out too much light and keeping a general open feel. Sometimes our belongings aren’t pretty enough to store neatly on shelves, and we just want to be able to hide things behind closed doors so they can be as messy as we need them to be. Storage is something that we are always struggling to find enough of, but cleverly here at Furl we are always trying to come up with new ways of storage items. We all need a coffee table, but it does take up a lot of space just to house a couple of drinks every evening. 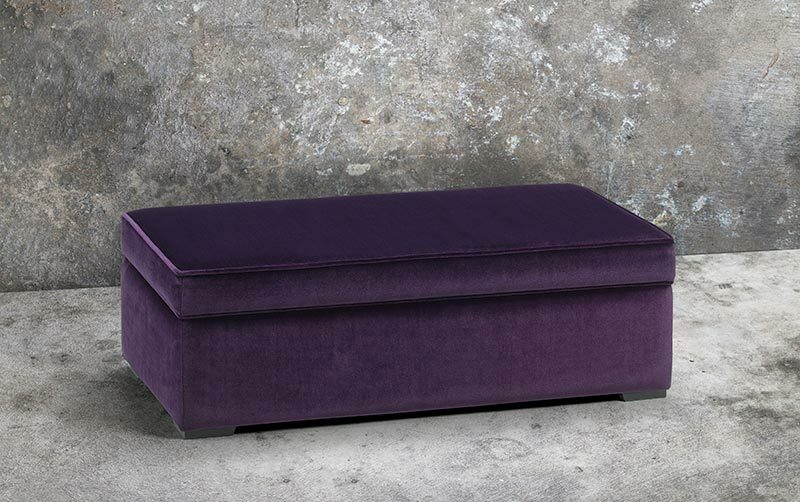 A blanket box would double up as both a coffee table and a footstool and even better, with a load of storage. Of course our Storage Beds are a no brainer for space saving too. Keep your flooring the same finish and colour throughout every single room in the house. This will ensure that no matter which room you are standing in or looking at, every room will flow into the next and make the whole house seem bigger. Grey wash oak floors will keep the space bright and fairly neutral so that any colour can be mixed in to the interior design. Wooden floors are of course much easier to maintain and keep clean so you won’t find that you will have to replace the whole lot if one room gets a little dirty. Add in an oversized rug to the bedroom and living areas to soften the overall feel. Sit all of the furniture on top of the rug so an open plan room again looks like it is divided into sections saving eliminating any unnecessary walls. 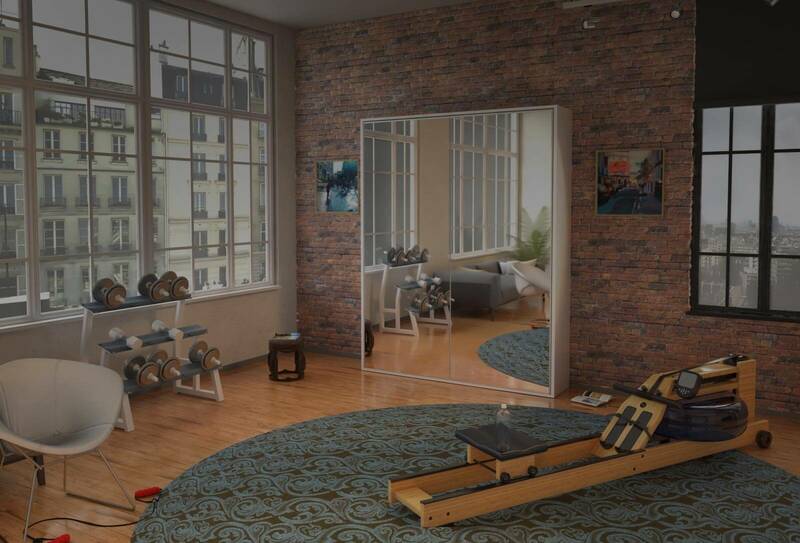 Another difficult one to understand as it doesn’t actually give you any extra storage or space, but mirror of course appears to visually increase the overall size of your room. It is becoming increasingly more common to have entire bathroom walls embellished with mirror to duplicate the size of the tiny space. Mirror also reflects light so can brighten our homes taking us back to point number one. A fabulous addition to our range at Furl is the acrylic mirror option for the front of our wall beds making the bed seem like it is giving you more space as opposed to taking up space. With some simple changes, different styling and multifunctional furniture buys, even the tiniest of homes will feel much roomier and even better, clutter free!